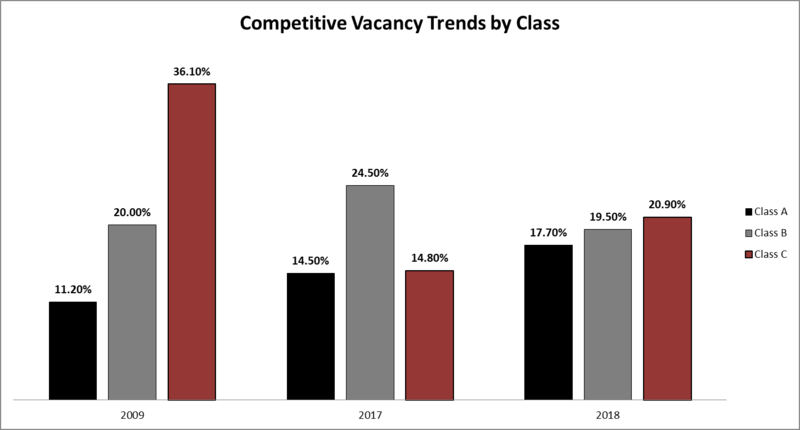 The overall Competitive vacancy rate moved lower from 2017 to 2018, due to some transition and consolidation in the market. 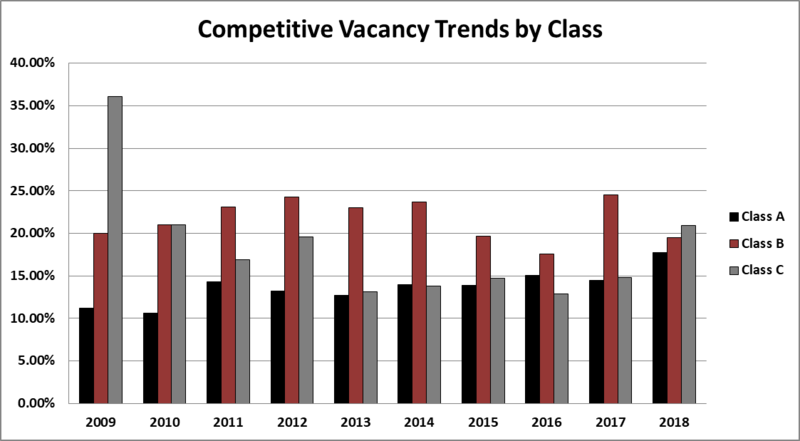 The vacancy trend for Individual classes (A, B & C) varies. 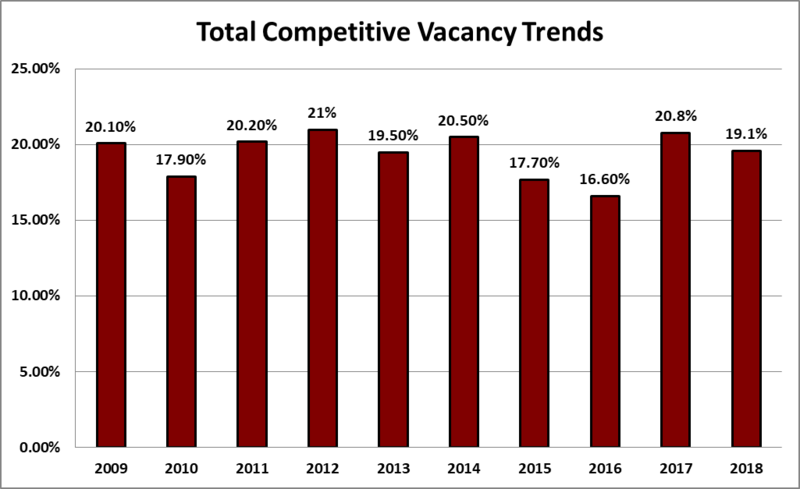 A moved higher, while B & C decreased.